Even though I enjoy writing, and do so in the first person as is typical when blogging, I certainly fit the mold of the stereotypical introverted Internet nerd in that I am much more comfortable talking/writing about any subject other than – me! While many of my hundreds of different websites revolve around dry financial topics like credit cards, car insurance, etc. it is actually much easier for me to rant and rave about Dave Ramsey or come up with a guide to rental car insurance than it is for me to sit down and write a post about myself. However, My respect and admiration for Financial Samurai (coupled with his email prodding) has forced me out of my comfort zone so let’s get started! As not only an introvert but a self professed Internet nerd, making small talk has never been my forte. To make matters worse, I never quite know how to answer the customary “So, what do you do?” question that is a staple of normal, friendly, and socially adept humans the world over. Since I wear many different hats, I have probably answered that question 10 different ways, with my most recent stock answer being that, “I own 4 different companies and I do a lot of nerdy Internet stuff.” (followed by a smile if my wife elbows me or thinks that I am appearing rude without trying to be). I am a Christian, a volunteer youth chaplain with the Fellowship of Christian Athletes, and a member of a Southern Baptist church. I am married to my best friend and we have a 16 month old daughter. I have a bachelors degree in business/accounting, an MBA, I am a Certified Financial Planner™, and I am also currently taking classes part-time to complete a Master’s of Divinity. I am a serial entrepreneur: I own Real Time Health Quotes LLC with my business partner Mark which is an online insurance agency where we have about 35 agents in 8 different states, I own Domain Superstar LLC with my business partner John where we create/acquire/develop websites to turn them into revenue generators (one of our recent big projects is an online workout website), I own 360 Quote LLC where the goal is to build/buy great money making financial websites on anything from car insurance to credit cards, and I also have some smaller ownership interests in other projects. Much of how I describe what I do is immediately misconstrued since even though I am a CFP™ I don’t work with clients, even though I own an insurance agency I don’t sell insurance, even though I build and market websites I don’t build and market websites for other people, etc. Even though I have always done some kind of work, even as a young kid working on a farm, I always knew that I wanted to work for myself. Being dependent on an employer, having to conform my schedule and priorities to someone else’s command, and having both my creativity and income potential stifled were all reasons for me to hate having anything to do with Corporate America/”Working for the Man”/insert-your-choice-of-job-insult-here. When I first started out working for myself my standard work week was ~100 hours, my method of splurging was buying two 99 cent double cheeseburgers instead of just one, and my first few websites made $13.50 the entire first month. Now my standard work week is however many hours I want it to be, my method of splurging is being able to go out to eat somewhere besides McDonald’s, and some of my websites have made more in under a week than my entire annual salary at my first job out of college. I love my “two-step commute” from my bedroom to my office down the hall because I have the freedom and the flexibility to either succeed (or fail) based solely on how good (or bad) I perform. I love that each of the different websites I either build or buy are each like their own “mini business” with their own unique markets, challenges, opportunities, etc. which allows me to be creative and essentially start a new business with every individual website. I also love that I can arrange my schedule (and work from anywhere that I can connect to the Internet) to do things that are important to me like spending time with family, going on missions trips, playing sports, etc. Why not consider becoming an entrepreneur yourself? If you work for yourself, what advice would you give to others considering making the “jump” from working for someone else to going out on their own? If you work for someone else and are perfectly happy to do so and continue to do so (nothing wrong with that!) 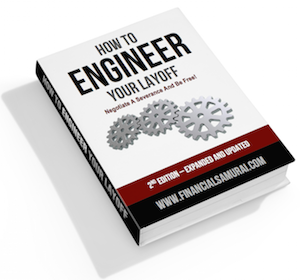 what advice would you give to others that want to advance up the career ladder (or maybe even just find a job)? I have made the case before that I think that entrepreneurship is actually less risky than working for an employer (if done in the right way) – do you agree or disagree? Joel Ohman is a Certified Financial Planner™, serial entrepreneur, and founder of the website CreditCardChaser.com that has a nifty credit card finder for finding the very best credit card! Is An Income Gap Straining Your Relationship? Hi Joel, You are a great writer, very easy to read. Your story is compelling. I can’t wait to learn from you. Thanks for joining and letting us into your world. Joel, I like your description of your companies and I share the same challenges describing what I do to outsiders. The real question is, can your wife accurately describe what you do with each of those businesses?…..Many times my wife just ends up saying, “he works with computers” :). Great to get to know you Joel! In my company, I get to be entrepreneurial while at the same time having some structure and good benefits. Essentially, the more entrepreneurial, the more my bonus structure will be, up to almost 80% of my salary! Hi Joel, first off, great post! I’m sure people have told you this before but you really do have a unique voice though your writing, good stuff. i really enjoyed your profile and reading into your day to day life a little more. 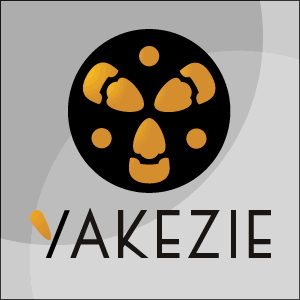 I’m excited to see you around Yakezie more often. Looking forward to reading more from you! Hi, Joel. Nice to meet you. It is interesting to read about all of your different businesses. I am glad you are able to work successfully from home; that is my goal. I know you enjoy the extra time with your daughter. Joel, I had NO idea how many braches you have out there. I’d love to hear more about each one! How they came to being? Ever thought of starting a seriel entrp site? Joel – great post, and very interesting background you have. Looking forward to getting to know you more, and welcome to the group! Wow, I’m even more impressed with you now than ever before (and I was pretty impressed already). Good luck with all your websites; you’re definitely quite an inspiration. Good luck on getting your Masters in Divinity! Welcome to the group Joel! I would love to hear your insight in the future regarding your entreprenuerial ventures! Awesome post. You sure are busy. Surprised you even found time to write a member post! :) Look forward to learning more about you and your many businesses. Continued success, but it looks like you’ve achieved much already! Joel, I really enjoyed reading your post. I think we all struggle with how to tell people what we ‘do’. :-) I definitely think working for yourself is less risky than working for someone else and that having multiple streams of income is the most secure place to be. I look forward to getting to know more about you and to see you interacting with the community. Thanks for your post. I share some of your entrepreneurial experience, however in different industries a while ago. I look forward to learning from you. It’s great to have you on board! How wonderful is it that the internet has come about and truly introverted people can socialize and make great income? Also, how many people on the Yakezie are from farms now, three or so? I know I am–maybe we’re onto something:). Hey Joel. I wondered where you went. 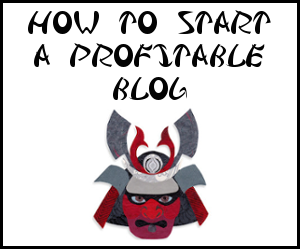 I am really looking forward to your insight on the business side of blogging.